So you think you found an exoplanet – a planet around another star? It’s not as simple as pointing a telescope upward and looking for a planet that waves back. Scientists must gather many observations and carefully analyze their data before they can be even somewhat sure that they’ve discovered new worlds. Here are 10 things to know about finding and confirming exoplanets. The vast majority of planets around other stars have been found through the transit method so far. This technique involves monitoring the amount of light that a star gives off over time, and looking for dips in brightness that may indicate an orbiting planet passing in front of the star. 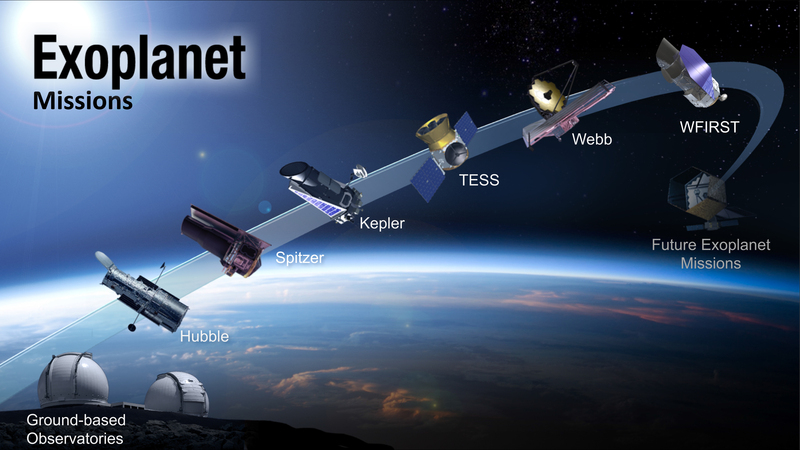 NASA has two specialized exoplanet-hunting telescopes scanning the sky for new planets right now -- Kepler and the Transiting Exoplanet Survey Satellite (TESS) -- and they both work this way. Other methods of finding exoplanets include radial velocity (looking for a “wobble” in a star's position caused by a planet’s gravity), direct imaging (blocking the light of the star to see the planet) and microlensing (watching for events where a star passes in front of another star, and the gravity of the first star acts as a lens). Here’s more about finding exoplanets. 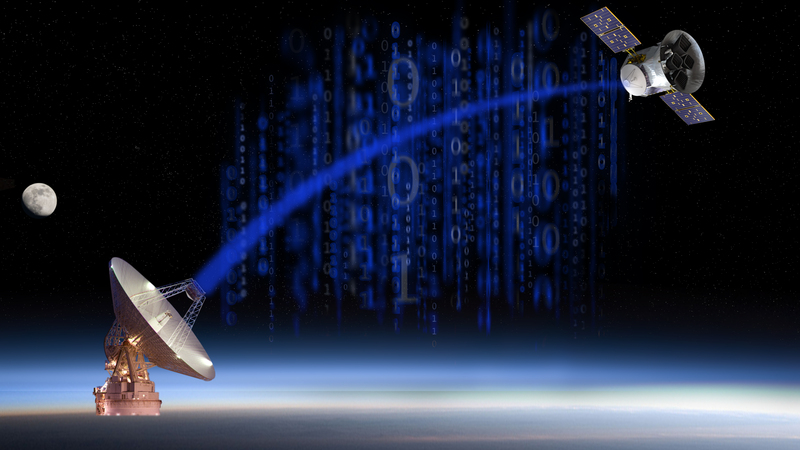 To find a planet, scientists need to get data from telescopes, whether those telescopes are in space or on the ground. But telescopes don’t capture photos of planets with nametags. Instead, telescopes designed for the transit method show us how brightly thousands of stars are shining over time. TESS, which launched in April and just began collecting science data, beams its stellar observations back to Earth through NASA’s Deep Space Network, and then scientists get to work. Researchers combing through TESS data are looking for those transit events that could indicate planets around other stars. If the star’s light lessens by the same amount on a regular basis -- for example, every 10 days -- this may indicate a planet with an orbital period (or “year”) of 10 days. The standard requirement for planet candidates from TESS is at least two transits -- that is, two equal dips in brightness from the same star. Not all dips in a star's brightness are caused by transiting planets. There may be another object -- such as a companion star, a group of asteroids, a cloud of dust or a failed star called a brown dwarf, that makes a regular trip around the target star. There could also be something funky going on with the telescope’s behavior, how it delivered the data, or other “artifacts” in data that just aren’t planets. Scientists must rule out all non-planet options to the best of their ability before moving forward. Scientists using the radial-velocity detection method see a star’s wobble caused by a planet’s gravity, and can rule out other kinds of objects such as companion stars. Radial-velocity detection also allows scientists to calculate the mass of the planet. This data plot shows infrared observations by NASAs Spitzer Space Telescope of a system of seven planets orbiting TRAPPIST-1, an ultracool dwarf star. After thoroughly analyzing the data, and running tests to make sure that their result still looks like the signature of a planet, scientists write a formal paper describing their findings. Using the transit method, they can also report the size of the planet. The planet’s radius is related to how much light it blocks from the star, as well as the size of the star itself. The scientists then submit the study to a journal. Scientific journals have a rigorous peer review process. This means scientific experts not involved in the study review it and make sure the findings look sound. The peer-reviewers may have questions or suggestions for the scientists. When everyone agrees on a version of the study, it gets published. When the study is published, scientists can officially say they have found a new planet. This may still not be the end of the story, however. For example, the TRAPPIST telescope in Chile first thought they had discovered three Earth-size planets in the TRAPPIST-1 system. When NASA’s Spitzer Space Telescope and other ground-based telescopes followed up, they found that one of the original reported planets (the original TRAPPIST-1d) did not exist, but they discovered five others --bringing the total up to seven wondrous rocky worlds. This artist concept shows K2-138, the first multi-planet system discovered by citizen scientists. 10. Catalog and celebrate – and look closer if you can! Confirmed planets get added to the official NASA catalog. So far, Kepler has sent back the biggest bounty of confirmed exoplanets of any telescope -- more than 2,600 to date. TESS, which just began its planet search, is expected to discover many thousands more. Ground-based follow-up will help determine if these planets are gaseous or rocky, and possibly more about their atmospheres. The forthcoming James Webb Space Telescope will be able to take a deeper look at the atmospheres of the most interesting TESS discoveries. Scientists sometimes even uncover planets with the help of people like you: exoplanet K2-138 was discovered through citizen scientists in Kepler’s K2 mission data. Based on surveys so far, scientists calculate that almost every star in the Milky Way should have at least one planet. That makes billions more, waiting to be found! Stay up to date with the latest discoveries using this exoplanet counter.